RK William “Bill” Ogren, 82, died on Tuesday morning, the 27th of November. A life-long resident of Muskegon, Bill worked at Consumer Concrete for many years until his retirement in 2008. Bill had a love of photography and provided wedding photos for most of his children and grandchildren, as well as many local weddings. He also enjoyed photographing Michigan’s beautiful lakeshore and had a keen eye for photo composition and color. Bill thoroughly enjoyed the outdoors and covered thousands of miles in two-wheeled adventures on his motorcycles. Bill was predeceased by his daughter, Stephanie, his sister Karen Kendall, his brother Jack Ogren and his ex-wife Evelyn Ogren, with whom he had six children. 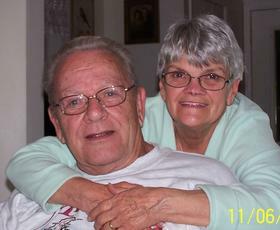 All who knew Bill will miss his sense of humor, easy-going nature, unswerving kindness and eagerness to help. Bill had a curious nature that was satisfied by the many projects that he always had underway; many will miss his ability to repair virtually anything from plumbing fixtures to cell phones. Bill is survived by his loving wife of 37 years, Mary Ogren, children William "Kirk" Ogren, Daniel Ogren, Rhonda Lomupo, Marijo Sherrod, Heather Dulinski, Eric Ogren, and stepdaughter Kelly Carmean. Bill had 16 grandchildren, 34 great grandchildren and a large, extended family of step-grandchildren, step-great grandchildren, nieces and nephews. A family gathering will be arranged for Bill at one of his favorite locations on Muskegon Lake in the spring of 2019.